Sandy swimming beach located on Lake Michigan. 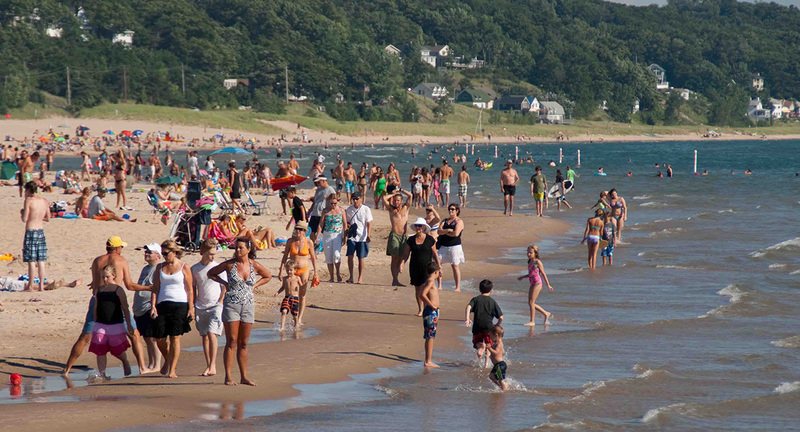 The city beach is nestled between The Bil-Mar, a beachfront restaurant, and Grand Haven State Park beach on Harbor Drive. Limited free parking is available. Restrooms available. No fees or passes required. 1) Weddings must be held south of Bil-Mar Restaurant. 2) Guests must be bused in from another location due to the limited parking for beach-goers. 3) A wedding on the beach does not mean “exclusive” use of the space. 4) Setup can be no earlier than one hour prior to the ceremony and must be taken down immediately after the ceremony. 5) No alcohol is allowed on the beach. 6) Limited to under 100 guests. 7) All deliveries and pick-ups must be made in the City parking lot; which is next to the beach condos. 8) Applications can be found on www.grandhaven.org website under “permits and forms” in the Community Affairs section. We have been informed by city staff that you should fill out the “Central Park Application” for a park or beach wedding. In event location section fill in “city beach”. 9) The application fee is $25 and is non-refundable. On May 7th, 1884, the City paid Galen Eastman $3,500 for all of the dune land and beach property that is today Highland Park. Mr. Eastman had acquired it some years earlier from Rix Robinson, who had been granted a patent for all of the land south of the mouth of the Grand River by the U.S. Government, in 1833. By 1895, Stephen Monroe, manager of the Grand Haven Gas Light Company, had acquired all of the property that is now the Five Mile Hill area, as well as the beach in front of that property. During William Loutit’s run as mayor (1916-1920), the City of Grand Haven purchased the 35 acres of beach in front of Five Mile Hill from the Monroe estate for $1,000 to use as public beach. 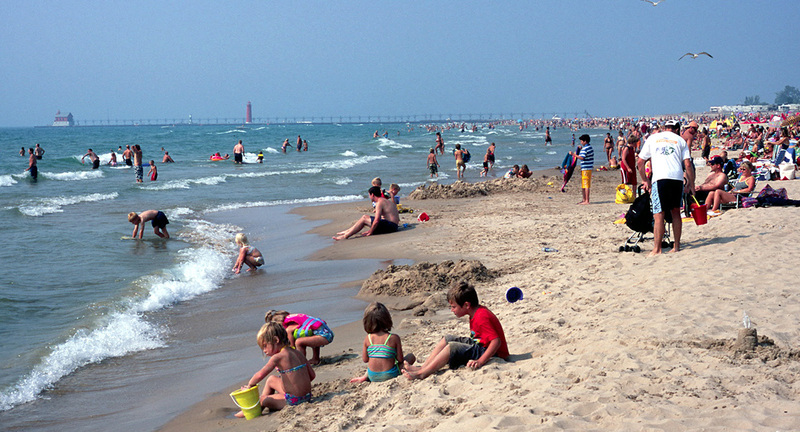 In 1920, the City sold the 22 acres nearest the pier to the State, and the Grand Haven State Park was born. The City kept the remaining acreage, near Highland Park, for use as the City Beach, which to this day extends from the State Park on the north to Stickney Ridge on the south.